Scratch Resistant! High gloss finish that never yellows! Our dots are self healing should they ever get bumped or scratched. No need to worry about your design ever yellowing or fading! 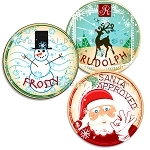 Perfect for photo crafts, scrap book embellishments, birthday parties, rush orders and kids craft projects. 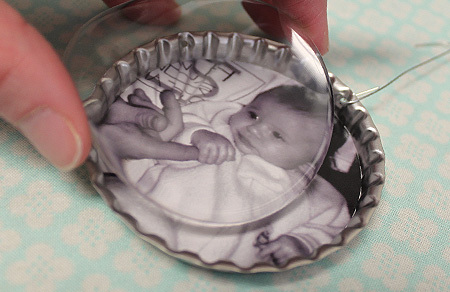 A quick and easy way to finish your bottle cap creations without the mess! 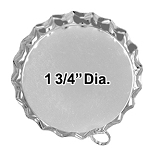 These self-adhesive dots are exactly 1 3/4" in diameter. 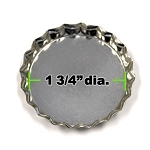 They fit perfectly inside or on top of our Jumbo bottle cap! No more resin! No more waiting! No more bubbles! No more problems!